Rogue Waves - In this episode we will cover the most elusive of all waves and explain where they come from and how dangerous they can be. In 1989, a tanker ran aground off the coast of Alaska, causing one of the worst oil spills in United States history. The Exxon Valdez oil tanker leaked 11m gallons of oil into Prince William Sound, Alaska. Chemicals used to clean up spills have harmed marine wildlife, response workers and coastal residents. By day, a secluded bay in Prince William Sound is the site of spawning salmon destined for supermarkets. But when the tide goes out and the beach is exposed, evidence of oil can be found, 26 years after the Exxon Valdez spill. Final segment of a three-part investigation. Thirty years ago, on 24 March 1989, communities in Prince William Sound, Alaska, awoke to horrific news: the Exxon Valdez, an oil tanker, had run aground and leaked 11m gallons of oil into the sound. Fishermen desperately began collecting oil in five-gallon buckets. Exxon, meanwhile, responded by burning floating oil and dumping toxic oil-based chemicals called “dispersants”. Dispersants break oil apart into smaller droplets, and this was assumed to enhance natural dispersion and degradation of oil, thereby “cleaning up” a spill. Instead, the dispersants formed chemically enhanced oil particles that proved to be more toxic to humans and the environment than the oil alone. Bligh Reef, sometimes known as Bligh Island Reef, is a reef off the coast of Bligh Island in Prince William Sound, Alaska. This was the location of the 1989 Exxon Valdez oil spill. 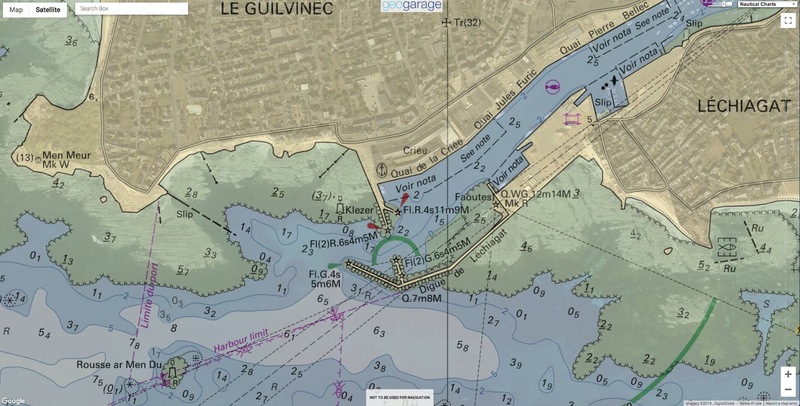 After the incident, US Code 33 § 2733 mandated the operation of an automated navigation light to prevent future collisions with the reef. Despite these efforts the tug Pathfinder ran aground on Bligh Reef on Dec 24, 2009, rupturing its tanks and spilling diesel fuel. 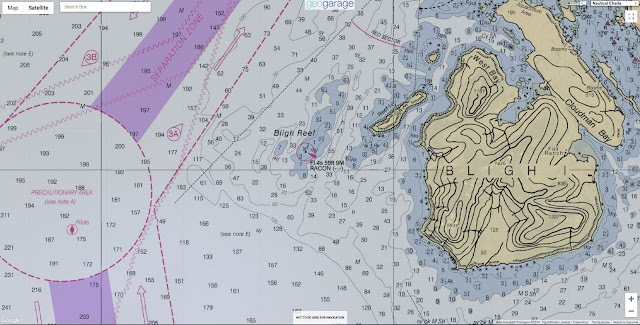 Bligh Reef is also where Alaska Steamship Company's Olympia ran aground in 1910. Twenty-one years later, on 20 April 2010, the BP Deepwater Horizon drilling rig exploded off the Louisiana coast, releasing 210m gallons of oil into the Gulf of Mexico. The subsequent response was all too familiar – burning oil and dumping dispersants once again. Two million gallons of dispersants were applied to “clean up” the spill. Instead, these chemicals led to unprecedented oil deposition on the ocean floor, resulting in severe impacts to marine wildlife from the sea floor to the upper ocean – including large dolphin die-offs, fish kills, and deformities – and devastating pulmonary, cardiac and central nervous system illnesses for response workers and coastal residents. Dispersants are being used in the Deepwater Horizon oil spill response. Dispersants are not safe to humans or the environment. They contain various industrial solvents and workers must be protected from exposure. Dispersants are usually applied directly to the spilled oil by spraying from an airplane, helicopter, or vessel. During the 1989 Exxon Valdez oil spill cleanup in Alaska, some dispersants were manually sprayed by workers on oiled beaches. Although dispersants are manufactured by many companies and their ingredients may differ, most contain a detergent and a solvent. The solvent allows the detergent to be applied. The detergent helps to break up the oil on the water surface into very small drops. These tiny oil drops are then able to easily mix with the water and be diluted. Most dispersants contain petroleum distillates, a colorless liquid with a gasoline- or kerosene-like odor. They are composed of a mixture of paraffins (C5 to C13) that may contain a small amount of aromatic hydrocarbons. Exposure to can cause irritation to the eyes, skin, or respiratory tract. NIOSH also recommends preventing skin contact with oil mist. To prevent harmful respiratory and dermal health effects NIOSH recommends reducing worker exposures to petroleum distillates and similar cleaning agents in dispersants. This was clipped from video produced by the Governors Office of the State of Alaska in 1989 and 1990. This is why our coalition of environmental justice organizations, conservation groups and individuals from Alaska to Louisiana directly affected by dispersants gave the Environmental Protection Agency (EPA) notice this week of our plan to sue the agency to compel it to update its rules regulating the use of chemical agents known to be harmful to the environment and everything in it. We are concerned that the EPA is putting at risk the 133 million or so Americans who live near the coasts, making up 39% of the US population, and the millions more who live near lakes, rivers, or along oil pipeline corridors and who are in harm’s way of the next “big one”. The use of these dispersants is a response method outlined in a set of federal regulations called the National Contingency Plan, which governs our nation’s oil and chemical pollution emergency responses. The Clean Water Act directs the EPA to periodically review the plan and update it to account for new information and new technology. By requiring periodic updates of the plan, Congress sought to ensure it would reflect current understanding of response methods and facilitate actions that minimize damage from oil spills. The EPA last updated the National Contingency Plan in 1994. That it does not reflect the advances in understanding of dispersant toxicity that came after the BP Deepwater Horizon disaster is, at best, a gross understatement. In fact, the 1994 update did not even incorporate lessons learned from the long-term ecosystem studies following the 1989 Exxon Valdez disaster. In 2011, EPA’s Office of the Inspector General concluded that the plan urgently needed revision. It took a public petition filed by Dr Ott and members of the grassroots organization now known as Alert (A Locally Empowered Response Team) to prompt the EPA to modernize the plan; in 2013 the EPA finally initiated a rulemaking proceeding. In 2015, the agency invited and received over 81,000 public comments, a majority of which called for reducing use of oil-based chemical dispersants and better efficacy and toxicity standards. Techniques used after the 1989 Exxon Valdez oil spill—such as washing sand and returning it to beaches—are helping to clean Gulf of Mexico coasts affected by the oil spill. But since the comment period closed in April 2015, the EPA has been silent on the issue. Meanwhile, the Trump administration, under the new National Outer Continental Shelf Oil and Gas leasing program, plans to open 90% of US coastal areas to oil and gas drilling, putting communities back in harm’s way. Given the history of offshore oil drilling, it is simply a matter of when – not if – another devastating spill will occur. Delaying updates to the National Contingency Plan is a dangerous dereliction of EPA’s duties under the Clean Water Act. We can no longer stand on the sidelines and hope the agency will act. On behalf of those who have already lost their homes, their livelihoods, their health – and even their lives – we are going to court to demand action. AXIS, a 55.3-meter support yacht built by Damen. Sailing from port to port in peace and seclusion on a multimillion-dollar boat sounds appealing, but as any seasoned yacht owner can tell you, just cruising around can get a bit, well, boring. To fully enjoy your luxury vessel, you need diversions. Maybe a sailboat or fishing and diving gear. Possibly jet skis, a seaplane or perhaps a submarine. But where does one stash all that gear? It’s essentially a boat designed to trail your main yacht and carry all the toys you don’t want cluttering up the mothership. Pioneered in the 1990s from old offshore oil and gas craft, support yachts have become as slick as the vessels they’re intended to serve. Dutch shipbuilder Damen has delivered a half-dozen 70-meter support yachts with premium finishes like high-specification air conditioning and entertainment systems that cost about $50 million. The Damen Yacht Support line starts at 46 meters and $14 million. “A support yacht boosts the yachting experience in every way,” said Victor Caminada, marketing manager for Damen’s Amels division, which is exhibiting at next week’s Palm Beach International Boat Show. The typical yacht only has room to store a few small leisure craft at most. To quickly access remote lagoons, dive sites and secluded beaches, wealthy vacationers may need limousine tenders for transfer to the marina, light aircraft, four-wheel drive vehicles, and of course “lots of jet skis,” Caminada said. Having all those transport options is helpful in the case some guests want to go on an expedition while others would rather hang out on deck. 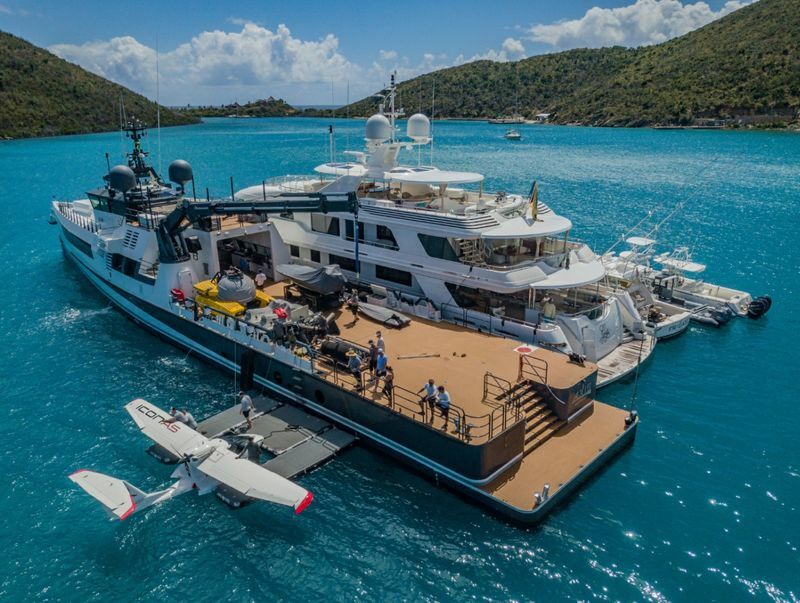 Many support yacht can easily store a helicopter for shuttling guests back and forth and have helipads that make for a less disruptive landing and launch. And they’re not just for heavy equipment. Support yachts can carry everything from spare provisions, laundry and fine china to garbage and waste water. To allow more privacy, the support craft could house cabins for staff or family office executives. These days the vessels are swank enough to even serve as overflow accommodations for guests. “It’s far more economically viable to add a yacht support vessel than it is to upgrade a 50-meter superyacht to, say, a 90-meter to accommodate extra supplies and equipment,” he said. The life of a conservationist often feels like one long struggle, taking little-known challenges and trying to make them mainstream. How do environmental issues move from niche interests to global concerns? The explosion of action on marine plastics has been a success story on an unprecedented scale. Film producer Jo Ruxton spent years raising funds and doing research for her film A Plastic Ocean, described by David Attenborough as “one of the most important films of all time”. But it was not until last year’s Blue Planet II series, and the plastics campaign by this and other newspapers, that concerns around marine litter began to be more widely shared. Having worked in conservation for more than 20 years, I was delighted by the sea-change in attitudes. But, like other environmentalists, I am concerned that other challenges are not getting the attention or resources they need. This isn’t about downplaying the threat of marine plastics, but about how we can learn from the plastics story and apply these lessons elsewhere. Crucially, all those involved in communicating what is happening to our seas must seek to inspire people as well as alarm them. The makers of the BBC’s Blue Planet Live, which started on Sunday night, understood this when they chose to present Chris Packham’s joyous encounter with whales off the coast of Mexico along with segments about attempts to regrow the Great Barrier Reef, and endangered sharks. There is cause for concern closer to home, too. Around the British Isles we have some fabulous marine habitats. Seagrass meadows store carbon and are a secret weapon in the fight against climate change. Horse mussel reefs keep our seas clean and provide nursery areas for the young of whelks and other shellfish. Having grown up by the sea on the Isle of Man, I have been excited by beautiful, diverse, life-giving marine habitats all my life. Their loss is one of the main reasons behind our current extinction epidemic. It frightens me more than anything else apart from climate change. But if nobody knows about the importance and wonder of these habitats, no one will join the fight to save them. And there is good news as well as bad. Marine habitat protection is becoming better understood and momentum is building. There has been encouraging progress in establishing marine protected areas. The point of these is to prevent damaging activities, allowing habitats to restore themselves naturally, and to intervene using active restoration when habitats have been damaged beyond the point of natural recovery. Last week it was announced that Ascension Island (part of the UK overseas territory of St Helena, Ascension and Tristan da Cunha) will be protecting more than 171,000 square miles (443,000km2) of its waters as a no-take marine protected area. 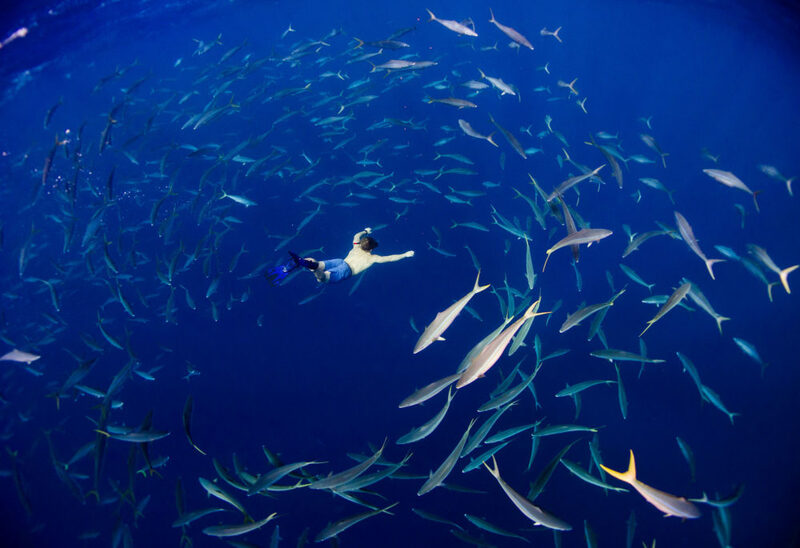 No-take zones are the gold standard of marine conservation and studies from around the world have demonstrated how they allow natural ecosystems to recover and bring benefits to the oceans beyond. In the UK there are nearly 300 marine protected areas in place and consideration of a further 41 new marine conservation zones is under way. Results are also beginning to emerge from experiments showing that a high level of protection is possible, even in the busy waters around the British Isles. A film created to raise awareness for seagrass, a vital part of our Eco system that is dwindling. Project Seagrass, based at Cardiff University, has been raising awareness of seagrass in the UK and around the world and has developed a seagrass spotter app for scientists and the public to record their sightings. They promote the value of seagrasses not only for biodiversity, but also for their role in mitigating climate change. The Native Oyster Restoration Alliance is a network of European scientists and conservationists involved in restoring the extensive oyster beds that were once found all around north-west Europe. After decades of work by oyster specialists to highlight the value of restoring this habitat, European native oyster restoration is really taking off. These captivating habitats have been neglected for so long because very few people see them. There has been a persistent misconception that the waters around the British Isles are usually dull, murky and devoid of life, which couldn’t be further from the truth. But without a personal connection to these beautiful alien worlds, it is difficult for decision-makers and the public to prioritise healthy habitats over other uses of the seabed. We are beginning to understand how the impacts of plastics go beyond the obvious harm to marine life, polluting our food and disrupting natural processes. Now we also need to turn our attention to the essential role of our marine habitats in supporting fisheries, cleaning coastal waters and helping to regulate our climate – and act now to protect them for the future. National Geographic : The world agrees there's a plastic waste crisis—can it agree on a ... / Creatures in the deepest trenches of the sea are eating plastic / Planet or plastic ? Popular Mechanics goes to source for the straight story on what it takes to operate the GPS navigation system and how the game is changing as the militarization of space heats up. A lot of the talk about the militarization of space these days comes from people who have zero real-life military experience working with satellites. We recently had the welcome opportunity to speak to several frontline military space operators during a trip to Petersen Air Force Base in Colorado, home to U.S. Space Command, and Schriever AFB. The day included a joint interview with three members of the 2nd Operations Squadron, which operates the Global Position System constellation around the clock. Theirs is a military mission with billions of civilian customers added on. We spoke with Capt. Dustin Spafford, an Assistant Director of Operations of the squadron (which everyone at Schriever calls “two-sops”); 1st Lt Morgan Herman, an Assistant Weapons & Tactics Flight Commander focused on the payloads and ways to optimize a sat’s signal, especially during specific military operations; and Capt. Ryan Thompson, Analyst Flight Commander, the engineer in the room who tends to the health and operation of the satellites; and the airmen's commander, Lt Col Stephen Toth. PM: Do people understand what you do? I mean in and out of the military. Herman: Probably the most surprising thing I came away with when I was at the Combat Air Force Weapons and Tactics Conference is that the aviation community doesn't always realize how actively we have to manage the constellation. Or how active our role in doing space operations is. Whether it's the public or our other military users, they tend to think of space as a magic box that you turn on and everything just works. They don't realize necessarily the level of active management that goes into that. Herman: A lot of that's by design, though. We want our system to work so perfectly so much of the time that everyone just kind of takes it for granted. That says that we're hitting that extremely high level of performance. Toth: I'm the commander of the GPS squadron. My mom has no idea that Google owns and operates her maps, not me. I'm the blue dot and all that other infrastructure someone else has made. Apple, Google, you name it. Whether people care to understand it or not, there are ten people up on that operations floor 24/7 constantly contacting those satellites and doing analysis on board to ensure it's a no-fail mission. PM: What are the main tools you use to fly a satellite? Thompson: We use a tool that takes in all the telemetry and the vectors so you can say, this the way this vehicle is moving, the way it's accelerating. With that, you can essentially plot a curve that says, these are your bounds. It's moving this way through your bounds. As it's coming toward this line we'll put an additional velocity vector that says, move it this direction. Then you can see that new prediction. We keep things within plus-or-minus two degrees of where it should be. We constantly do that over time. It could be two years, it could be a little shorter. We have one vehicle that almost doesn't want to leave its area, just the way it moves it kind of just wiggles and just loves staying right in the middle of its lane. PM: How would news of a threat to a satellite reach you on the operations floor? They're charged with protecting all of our stuff once it's in orbit. They're the main coordination point for that, but any situation like that would be a huge collaboration between them up in the NSDC, myself, the weapons and tactics flight people, and then Capt. Thompson with that engineering expertise that they have to make sure we don't accidentally break a satellite trying to keep it safe. PM: Do you guys wargame that kind of stuff? Toth: Sure, it’s part of our advance training. We take realistic scenarios that are provided by external organizations and basically say, this is things that could, in theory, happen. Then we start testing out crews on how they would react to certain situations or scenarios as they play out. We're constantly integrating a greater level of knowledge that we're gaining overtime into our training scenarios and then our crews can actually practice those scenarios. A lot of it is actually thinking through those scenarios and getting people to realizing that we're no longer sitting in a benign environment. PM: It’s a new mindset, treating space like a contested environment, somewhere where the spacecraft are under threat of attack. Spafford: That's a lot of what's Air Force Space Command has been getting after over the last few years. It's getting more and more after the training on how crews think. It's nothing that ten years ago my mind was thinking about. The reality is that Air Force Space Command started to see a concern and so that's why we're starting to change the way we train. It's really more about changing the way we think. Making you into a space warfighter is a hard thing to do. I've had three deployments behind me. I've been in Afghanistan, I've had more mortars coming at me. You know when you're at war, right? You sit there and there's no mistaking that explosion that just happened 100 yards away from you. In space, it's way more difficult to understand exactly what warfare might look like. By no means am I suggesting we are there, right? That's for the generals and everybody else that's looking at the bigger picture. But we as a team need to start thinking about our system and how we protect and defend it. In 2018, the U.S. Air Force is expected to begin launching the most powerful GPS satellites ever designed and built – GPS III. 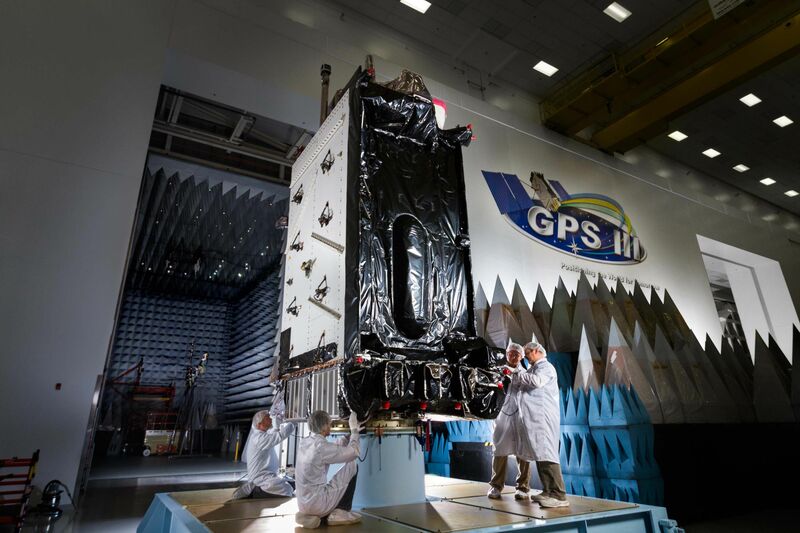 Today, GPS III satellites are in full production at Lockheed Martin’s GPS III Processing Facility near Denver, a $128 million, state-of-the-art manufacturing facility, itself designed in a virtual reality environment to maximize satellite production effectiveness and efficiency. PM: Space is busy right now and getting even busier. 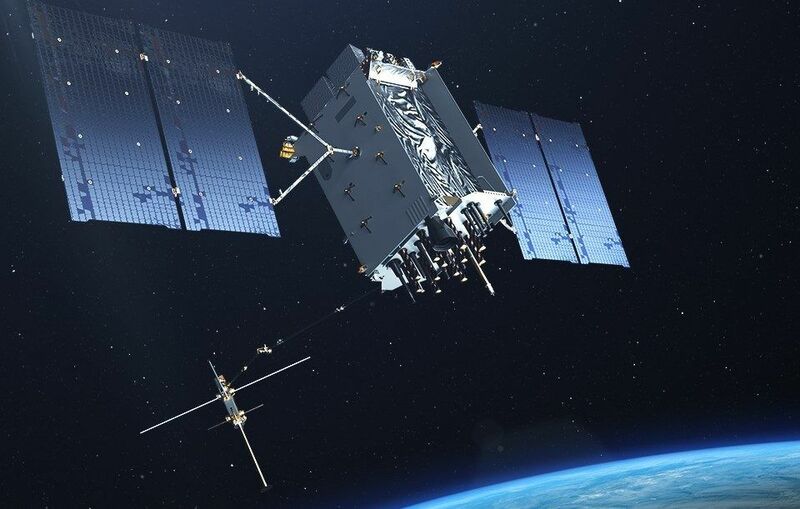 Besides the increase in other traffic, there are dozens of new GPS III satellites coming online in the future. And the Pentagon mandate is not to just fly them, but protect them from threats. How are you preparing for the increase in workload? Spafford: Well, if you're planning on being busier, then you need to come up with ways to get every process as lean as possible. That's exactly what we're doing in the squadron, trying to get as lean and mean and fast as we humanly possibly can. That enables us to better serve the customer-which is the world, I guess you could say. What we're starting to do is take a new approach to these things and saying, "Okay, well let's get the contractor in here. Let's put a team of smart people together from my weapons and tactics shop who develops a big brain plan on what they want to do with the satellite. We get our analysis shop, which is like Capt. Thompson's flight, and they start developing a plan." PM: What’s a good example of getting leaner? Thompson: One of the best examples: During a disposal burn, normally we only will fire the engines on the vehicle for an hour at a time, but Lockheed Martin looked into it and they thought that we could probably do it for two hours at a time. We were already moving the vehicle into its disposal orbit, it was going to be out of the way of everything, we were satisfying all of Strategic Command’s requirements. It was going to be completely safe. We decided to burn for two hours, which reduces the number of burns we have to do by 50 percent. We used all the fuel on the vehicle and now it's reduced the disposal timeline for all of our vehicles by about 50 percent. PM: When did this happen? Thompson: Just last week we finished the final burn. Spafford: So it's really interesting stuff. We hadn't fired the five-pound kick thruster since the vehicle was initially launched in the orbit. How long was that vehicle? Spafford: In 18 years the five-pound thruster had never been used. Well, we said, let’s try it. So we tried it and it worked. It's things like that, that we can start putting our knowledge to or applying our time toward that enables the whole crew force to learn more. Whether they stay in GPS for their entire time or they go to another satellite operation squadron, the basic mechanics of satellites are basically the same. 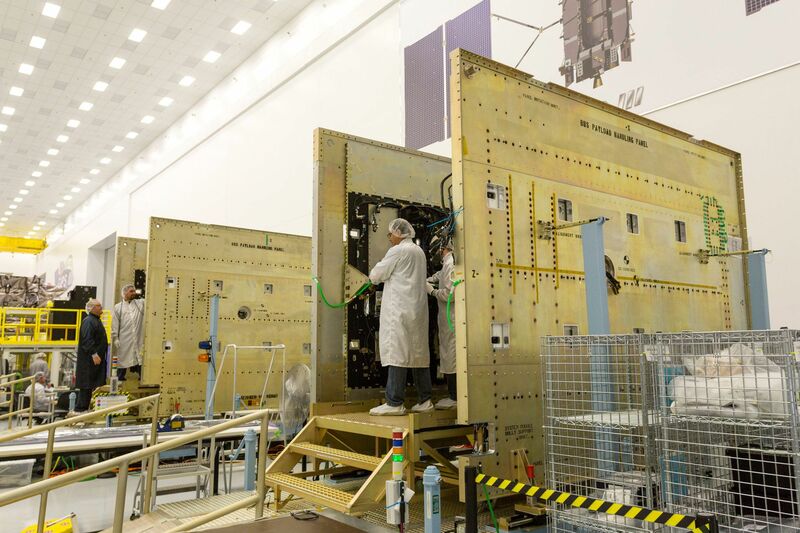 And Lockheed Martin can now take this information back to where they manufacture the actual satellites to build better on-orbit handbooks, so that when we get them we can know more about what we can actually do with it, and they can actually start building out better satellites. PM: I see a lot of hands-on tending to sats here, but I also hear about automation that can help operators monitor the health of the spacecraft and operate bigger constellations. When we talk about doing a contact on a satellite, it takes about 45 minutes. We start to increase the speed you can get more contacts done throughout the day than you normally would otherwise. It's a way that we're already starting to get after doing satellite contacts for our larger constellation. PM: Is being faster something that has to happen to handle the increase in constellation size? Spafford: By freeing up some of that time, by automating some things, it will just make us a more refined organization as a whole, which is our overall intent. It also makes us better. It carries a message to the warfighters. They can know what we can do. When OCX (a ground station software upgrade – eds) does come online, it's designed to be able to have 62 PRN's, which means 62 satellites healthy at one point in time. Someday they will have 62 satellites, potentially, on orbit. We can't do that right now. PM: You guys are operating equipment that you’ll never touch or even see. From your perspective, what's the relationship you have with these satellites? Thompson: You do get to a point where you think of each of these vehicles, that they have their own personalities almost. Different ways you have to think about different vehicles, even within the same block. You may have this one does this certain thing sometimes. Or this one's batteries are a certain way and they charge a certain way and so we have to be aware of that. Herman: Working on the payload side - that's my normal crew position when I'm not working in weapons and tactics - I'm essentially listening to every one of the satellites at the same time. Being in a room where you're essentially listening to 31 voices at once, you start to distinguish the differences between each one. Some satellites require a little bit more attention when it comes to their navigation uploads because of the way their clocks work. Some of them are just perfect performers. You can leave them on for three or four days at a time and they'd be great. A SpaceX Falcon 9 rocket launched the GPS III SV01 mission from Space Launch Complex 40 (SLC-40) at Cape Canaveral Air Force Station, Florida, on 23 December 2018, at 13:51 UTC (08:51 EST). GPS III SV01 is United States Air Force’s first Global Positioning System III space vehicle (SV). Due to mission requirements, SpaceX did not attempted to land Falcon 9’s first stage (Block 5 B1054) after launch. PM: For young airmen, this has to be a good time to get involved in space operations. PM: When you look at your future career, you must realize that what you’re learning will have a lot of appeal in the commercial world. Do you think you’ll stay in the Air Force? Thompson: I think it's a great path both within and still involved with the military. PM: Okay, ‘senator.’ Who media trained this guy? He’s good. Thompson: In our bowling alley area we have something we call the Wall of Fame. These are a lot of people that were in 2 Operational Squadron at some point, and all of these faces are familiar because they all still stayed within the community. We have civilians that were here as captains who are now 25-, 30-year civilians within the space GPS community who worked with our contractors that have been here for 25 years. I think it is a great time to be in space because there is so much going on with it. But I think you've seen that before; space is somewhere that kind of captures the imagination so people stay within it. Herman: The beauty of being in space right now is I have yet to come into work and be bored. From a quality of service standpoint, I know for the next 10, 15, 20 years - if I decide to stay in the military that long - I will always come into work and face a new challenge. I'll always work with some of the most top-notch people that the Air Force has to offer. As long as I can keep doing that, I'd love to stay in space. In the last decade, governments have been pushing to create vast Marine Protected Areas large enough to protect species from overfishing and other threats. But critics are questioning whether the creation of these large protected areas is driven more by geopolitics than conservation. How can we save the oceans? They cover two-thirds of the planet, but none are safe from fishing fleets, minerals prospectors, or the insidious influences of global warming and ocean acidification. In the past decade, there has been a push to create giant new Marine Protected Areas (MPAs). They now cover nearly 9.7 million square miles, equivalent to more than the land area of North America. Cristiana Pașca Palmer, executive secretary of the UN Convention on Biological Diversity, says the world is on course reach the convention’s target of having a tenth of the oceans protected by next year. But questions are being raised. The growth has been driven by the formation of giant MPAs bigger than many countries, often in remote regions where the threat to biodiversity is lower. So, critics are asking, are countries creating big distant MPAs to distract attention from the harder task of protecting trashed coastal ecosystems closer to home? And is there a geopolitical game afoot, a stealth rush to control the oceans for political ends? And does that explain why half of the ocean waters covered by MPAs are in the hands of the United States and two former European colonial powers, Britain and France? Most ocean scientists see the rush to create vast MPAs as a boon to marine conservation. They are cost-effective, connect different marine ecosystems, and encompass larger parts of the ranges of migrating species such as whales and tuna, protecting “corridors of connectivity among habitats in ways not afforded by smaller MPAs,” says Bethan O’Leary, a marine scientist at the University of York in England. But the geography of the new large MPAs seems to reflect politics as well as ecology. The biggest American MPAs are in the 200-mile internationally recognized exclusive economic zones (EEZs) off Alaska and around the Hawaiian archipelago. And France and Britain are busy asserting their control over wide stretches of oceans in EEZs around tiny islands that they hung onto at the close of the European colonial era. Britain has fully protected less than only 2.9 square miles of its domestic waters, but has promised 1.5 million square miles of “enhanced marine protection” around its territories in remote oceans by 2020. That is more than 16 times the size of the UK itself. The waters earmarked include three of the 12 largest MPAs declared to date: around the Chagos Archipelago in the Indian Ocean, Pitcairn Island in the Pacific, and South Georgia in the Southern Ocean, to be followed by Ascension Island, St. Helena, and Tristan da Cunha, all in the South Atlantic. Marine Protected Areas (dark blue) cover nearly 7 percent of the world's oceans. France is not far behind, promising 850,000 square miles by 2020, including waters around New Caledonia and French Polynesia, as well as Reunion and Mayotte in the Indian Ocean. 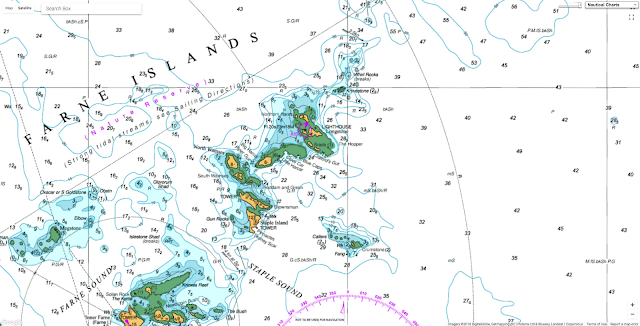 These giant MPAs are a relatively new phenomenon. Most have been created since 2010, when the Convention on Biological Diversity adopted its 10 percent target. Until then, most were small, and about half of the world’s 15,000 MPAs still measure only a few square miles. But the case to go big has been growing. While small safe spaces for nature may protect particular habitats like coral reefs and sea grasses, their impact on wider marine ecosystems and migrating fish stocks is bound to be small, marine ecologists argue. Some scientists also say that with coastal MPAs, local fishers often lose out. Their livelihoods are disrupted as their fishing activities are declared illegal, while big commercial fishers just move on and damage somewhere else. There have been calls for codes of conduct to protect such communities. So will large MPAs do better? 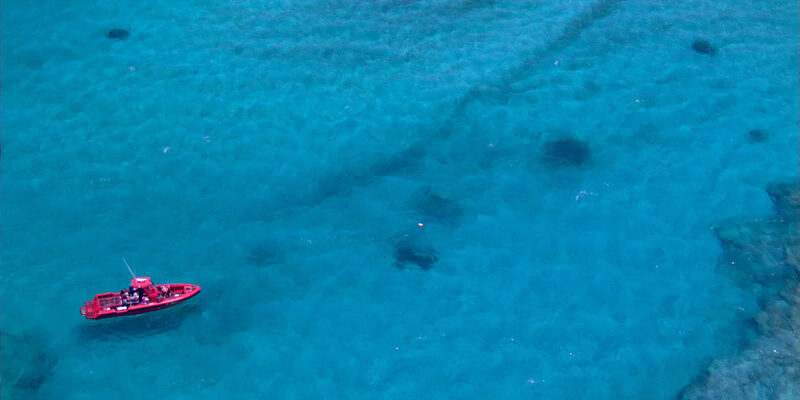 Most are in remote near-pristine areas with lots of marine life to save. The U.S.’s Papahānaumokuākea Marine National Monument in the Hawaiian archipelago, for instance, is more than twice the size of Texas and supports 7,000 species, a quarter of them endemic. The 250,000-square-mile MPA declared by the British around the Chagos archipelago in the Indian Ocean is “the world’s largest contiguous undamaged [coral] reef area,” according to the former chief scientific advisor for the area, Charles Sheppard of Warwick University. It includes the largest atoll in the world, the Great Chagos Bank, and has 310 species of coral, 821 of fish (including 50 shark species), and 355 of molluscs. The MPA there has created the world’s largest “no-take” zone, where all commercial fishing is banned. But some say the progress on protecting the oceans this way has been hyped. Enric Sala, a marine ecologist at the National Geographic Society, recently called the claim to be close to achieving protection for 10 percent of the world’s oceans “false and counterproductive.” While 7 percent of the oceans have so far been earmarked for some protection, only 5 percent have actually had plans implemented, and only 2 percent ban commercial fishing. Among MPAs where commitments remain unimplemented, Sala notes, two of the biggest are New Zealand’s Kermadec Ocean Sanctuary and French New Caledonia’s Coral Sea Nature Park. And when the departing Bush administration in 2009 created the Marianas Trench National Marine Monument near the U.S. territory of Guam in the western Pacific, it ceded to pressure from the Northern Mariana Islands to allow fishers to continue their activities there. But O’Leary says most designated large MPAs have management plans either in place or in preparation, and the development of drone, radar and satellite technology will make them easier to police than in the past. A diver swims in French New Caledonia’s Coral Sea Nature Park, a Marine Protected Area in the South Pacific. A second concern of critics is that the massive coverage of MPAs may not be addressing the urgent task of protecting marine species and ecosystems from real and current threats. Most large MPAs are in remote areas. The U.S., for instance, has fully protected less than 1 percent of seas in its waters around the continental U.S., compared with 43 percent in remote waters. In fact, it is worse than nothing, he argues, because by allowing countries to hit UN targets, these remote MPA’s reduce the pressure to provide real protection where it is needed. Even bigness provides few benefits, Rocha contends. But O’Leary and other advocates for large MPAs counter that big protected areas provide more protection for migrating species than small areas. And even if they don’t counter urgent current threats, O’Leary says, they do provide “proactive protection of ocean wilderness areas against future exploitation,” in the same way as protected terrestrial wildernesses. Some critics charge that many big MPAs are as much about geopolitics as conservation. Britain has declared an MPA around South Georgia, which is claimed by Argentina, and, just as controversially, has also done so around the Chagos archipelago in the mid-Indian Ocean. 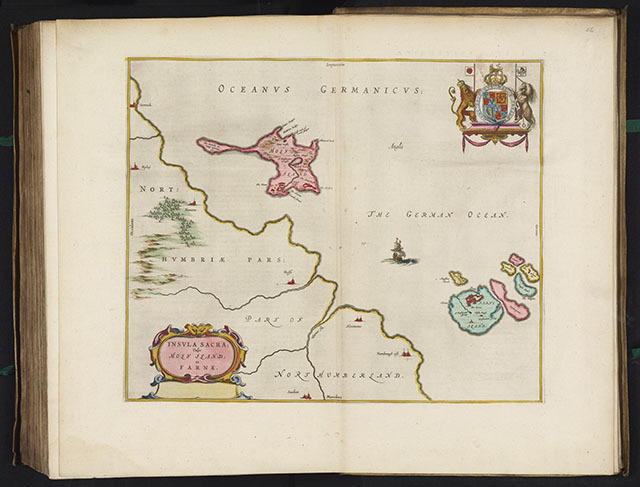 In colonial times, the archipelago was administered by Britain from adjacent Mauritius. However, in 1965, three years before granting independence to Mauritius, the British separated it off and signed a deal with the U.S. for a major American military base on the largest of its 60 islands, Diego Garcia. As part of the deal, the British subsequently forcibly removed some 1,500 Chagossians. Living in exile in Mauritius and the UK, they have been campaigning to be allowed to return and resume economic activities such as fishing. That was made more difficult when in 2010, Britain created a giant “no-take” MPA around the archipelago, excluding only Diego Garcia. The British government has repeatedly denied any such motive. The islands, including the MPA, should be handed back to Mauritius “as rapidly as possible,” the court ruled. It is far from clear if the British government will accede to this demand. Mauritius’s London embassy did not respond to requests to clarify its plans for the MPA. But in the past it has said that while it had no problem maintaining an MPA, a no-take zone would “not be compatible” with its plans for returning Chagossians and exploiting marine resources. Whatever the future for such contested waters, the bigger prize of saving oceans remains. Scientists have argued that the world should aim to protect not 10 percent, but 30 percent of the oceans. That would require concerted international efforts to protect the two-thirds of the oceans that lie outside national EEZs. Just 0.5 per cent of these “high seas” are currently covered by MPAs. These are in areas covered by regional or international treaties. The largest is the Ross Sea MPA off the coast of Antarctica, which covers an area almost the size of Alaska and is one of the world’s most productive marine ecosystems, though concerns have mounted because of a krill fishery allowed there under the terms of the Antarctica Treaty. Others include the Charlie-Gibbs MPA, a biodiversity hotspot in the mid-North Atlantic where polar and tropical waters meet. It is managed by the Ospar Convention on the Northeast Atlantic marine environment, which is named after a famous 19th-century American pirate. But many more may be established if the UN finalises a new High Sea Treaty on schedule in 2020. Talks on the treaty were scheduled to resume in New York this week. Its provisions will almost certainly include creating MPAs in international waters. Candidates include the Sargasso Sea, a zone of sluggish waters in the North Atlantic off the British territory of Bermuda that is full of floating seaweed among which both American and European eels breed. The question then becomes who will fund and manage MPAs on the high seas. The moving forces behind them will likely be the same as those that helped trigger the recent spurt of large national MPAs: American and other conservation groups, backed by private philanthropists. Conservation International helped mastermind the French MPA around New Caledonia. The Switzerland-based Bertarelli Foundation helped establish those around French Polynesia and Chile’s Easter Island. In the Seychelles, The Nature Conservancy raised money from U.S. philanthropists, including actor Leonardo DiCaprio, to buy up national debt in return for the creation of two large marine reserves. The Louis Bacon Foundation, established by a U.S. hedge fund manager, is to pay for policing a British MPA around Ascension Island. 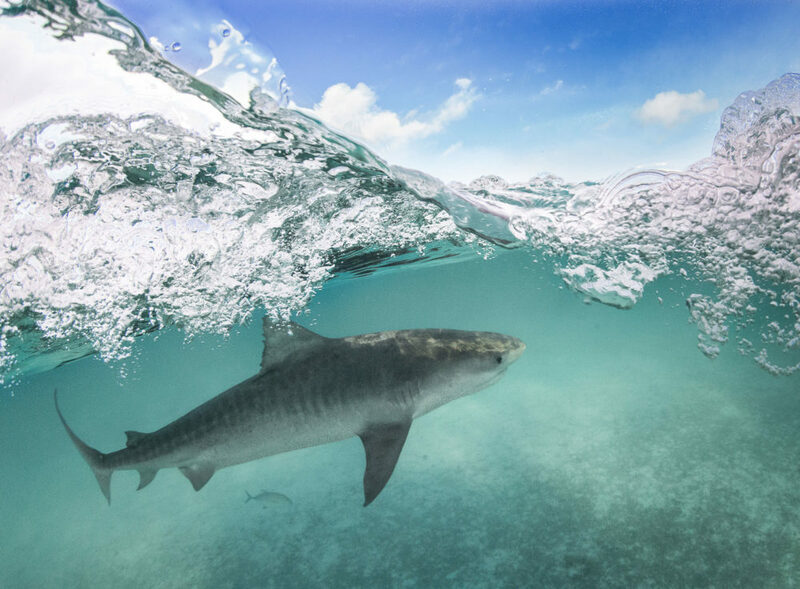 A tiger shark seen in the Papahānaumokuākea Marine National Monument near Hawaii. Pew first proposed and helped fund British MPAs at Chagos and Pitcairn, as well as pushing for U.S. initiatives such as the Marianas Trench Marine National Monument. Elizabeth Karan, a senior manager at Pew, said in an email interview that rather than trying to take over the oceans, her organization is helping “identify important areas for biodiversity on the high seas, and work with governments [to] develop proposals.” Policing of these non-national MPAs would be done by treaty signatories regulating their industries. Some see such philanthropists as planetary saviors; others as agents of a creeping privatization of one of the last great global commons. Either way, it is a big task. Two things are unusual about this OS one-inch map from 1903: I've never seen aesthetic depth contours and surveyed contours on top of each other before, and there's a rock that's been given the name 'Nameless Rock'. 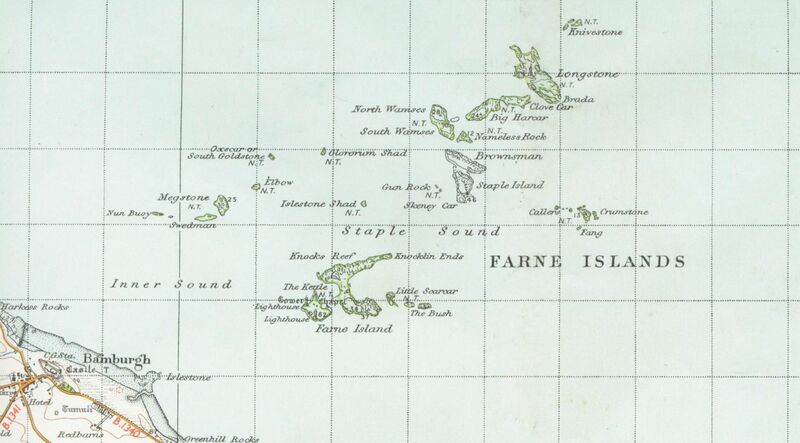 The Farnes consist of almost thirty islands which are visible at high tide and many others visible at low tide. 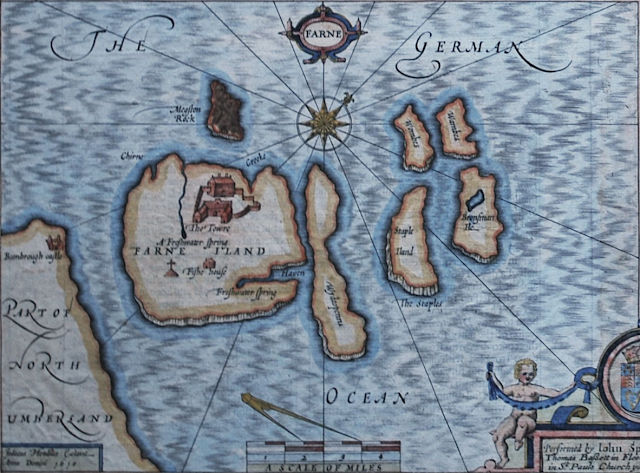 Some of the islands have wonderful names like Megstone, Elbow, Wideopens, Goldstone, The Bush, Glororum Shad, Gun Rock, Staple Island, Brownsman, Callers, Crumstone, Fang, North and South Wamses, Roddam and Green, Big and Little Harcar, Nameless Rock, Blue Caps, Longstone and furthest out at four and half miles from the shore, Knivestone. The Farnes are formed by the most seaward outcrops of the volcanic intrusion called the Great Whin Sill. The sill can be traced from Upper Teesdale in Durham where it forms the High Force waterfall, all the way up to the north Northumberland coast where it makes the Farne Islands and the rocks upon which sit the castles of Lindisfarne, Bamburgh and Dunstanburgh. The rock gives the Farne Islands their distinctive blackened appearance.